1. The mainstream media will ignore or twist the truth. The team and I know Cherokee records. The team and I know how to do genealogy. We spent thousands of hours researching the claim of American Indian ancestry made by Elizabeth Warren. There is absolutely NOTHING to suggest she actually has Indian ancestry. Sadly, rather than focusing on the facts, the mainstream media made excuses for her, covered up the facts for her or ignored her false claim altogether. 2. People will question your motives if you tell the truth. Elizabeth Warren obviously didn't like the fact that someone could disprove her claims. When I traveled to MA along with other Cherokee women, we weren't even referred to as Cherokees by Warren and her campaign. We were portrayed as being in cahoots with the Scott Brown campaign even though that was not true. "The out-of-state group in question is being promoted and supported by a right-wing extremist who is on the record supporting and contributing money to Scott Brown,” Warren spokeswoman Alethea Harney told The Boston Herald in an article published on June 20. “It is past time we moved on to the important issues facing middle-class families in Massachusetts — even if Scott Brown won’t." The women who went to Boston are either registered Democrats or independent voters who tend to vote Democratic. The reason we spoke out against Warren's false claim had nothing to do with Scott Brown, but instead was because we are Cherokee first and care about truth in our history and genealogy. 3. Massachusetts loves its politics. It doesn't matter if they are Democrats or Republicans. The people in Massachusetts love their politics and because of that, things can get nasty in some of their political races. It was a little overwhelming to be blindsided by it and then finding oneself in the middle of the political frenzy that took place during the last year. Despite that, while in Boston, the other Cherokee ladies and I were, for the most part, treated with consideration and respect, even though some people we encountered did not like our reason for being there. 4. My mom was right. Growing up, my mom warned me that there are mean people in the world. This year, I learned just how true that was. While many of the "attacks" against my character were simply done by those taking political sides, some were by individuals who crossed the line into personal attacks on me and my family. My mom taught me not to hate people who do things like that, but to instead feel sorry for them because obviously, their lives are so unhappy, they can't feel good unless they are trying to destroy the happiness of someone else. 5. Some people don't care about the truth. Before this year, I always believed that if you gave people a chance to do the right thing, they would. The majority of the voters in Massachusetts showed me that isn't true. Not only did they elect a proven liar, that liar had every chance to look at the documents that showed the truth and take ownership of her misrepresentation of Cherokee citizenship and history. Not only did she refuse to do that, she completely marginalized ALL American Indians. The voters didn't care about the truth and one candidate didn't care about the truth. I think that is sad. 6. Racism against Indians is alive and well. The race for the Senate in Massachusetts clearly showed this. From the various names and terms used in the media (Fauxcahontas, Lieawatha, etc...) to the "high cheekbone" remark to the "tomahawk chop" incident to the fact that people thought it was okay for Elizabeth Warren to refuse to speak to ANY American Indian showed that racism against American Indians is still alive and accepted by a lot of people. 7. Genealogy matters for many different reasons. Most think genealogy is only important to those people who want to learn about their family history, but if a political candidate, in the past, claimed minority status in order to benefit from affirmative action, their genealogy can become of interest to many. Though I knew about fake Cherokees and how their behavior and false claims allow insight into their character, it never occurred to me that wannabeism would be so far reaching that it would also reveal the character of a United States Senator-elect. 8. Democrats come before Cherokees to the Cherokee Chief. In May, Elizabeth Warren said her grandpa had "high cheekbones like all the Indians do." A few weeks later, the group, "Cherokees Demand Truth from Elizabeth Warren" was born. In June, the chief's advisor (at the time) privately said we needed to drop our protest against Elizabeth Warren because "they" wanted her to win. Throughout the summer, Warren made statements that are anti-sovereignty and refused to speak to any American Indian, whether it was the group of Cherokee women; the Native Democratic Delegates; or a Native journalist. The entire time, Democratic National Delegate, Cherokee Nation Principal Chief, Bill John Baker, remained silent. Late in September, the campaign staff of Scott Brown made fun of his challenger, Elizabeth Warren, and her false claims of Cherokee ancestry by doing the tomahawk chop to her supporters who had shown up at a Scott Brown campaign stop. Chief Baker suddenly became "offended" and made the following statement, “The use of stereotypical ‘war whoop chants’ and ‘tomahawk chops’ are offensive and downright racist. It is those types of actions that perpetuate negative stereotypes and continue to minimize and degrade all native peoples.” Why wasn't he equally offended by a white woman claiming to be Cherokee for professional gain? Remember, we involved in protesting Warren had already been told "they" wanted her to win. Remember, Chief Baker never said a word when Warren was doing and saying offensive things, including making statements that undermine our sovereignty. Notice, Chief Baker ONLY made a public statement in this matter when he could say something to help a fellow Democrat. Isn't it sad that many other Cherokees could put aside their own political leanings in this because they think "Cherokee first", but our own chief couldn't do the same? 9. People still try to lump all Indians together. During this Elizabeth Warren fiasco, many people made comments, released statements or wrote op-eds that said American Indian ancestry is difficult to prove due to there being no records. While that might be true for some Indian Nations or tribes, it is not true for the Cherokees. We came into contact with whites at a much earlier date than many other tribes. We had a written language. We have many records dating back to the 1700s and earlier. We can trace our genealogy and the team and I have clearly shown that, but people still want to believe the myths that circulate about Cherokee history and they continue to claim "Indians" don't have any records. 10. Some people do listen. Though sometimes, it feels like I type till my fingers hurt and I talk till I lose my voice when trying to share the truth, only to have no one pay any attention, in 2012, I learned some people do listen and some people do accept the truth. A group of people on Twitter stopped using the terms "Fauxcahontas," "Lieawatha," and such because they realized it was offensive. Others learned the truth about Cherokee citizenship and why it matters. Others realized they really weren't Cherokee, after years of believing they were, and accepted that. As you can see, 2012 taught me a lot of lessons. I always welcome a chance to learn new things and last year did not let me down. My only hope is that I was able to teach others as much as I was able to learn. I am so glad a friend of mine recommended your website to me. I very much enjoy reading your columns via-email every day. You are a literal gold mine of information on the Cherokee people and I think you should write a book! I also appreciate your list of fake Cherokee organizations. I only wish I could have found your website earlier, before being bilked out of $500 by a fraudulent, self-proclaimed, "Cherokee genealogist and historian" calling herself "Dee Gacher" two years ago! 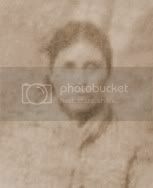 I have been trying to trace an ancestor of mine who I have always thought to be a Cherokee. The story that I was told concerning this ancestor, whom I believe to be a fourth or fifth generation grandfather on my maternal grandfather's side of the family, was that he was a Cherokee living out West and was thrown out of his tribe because he had murdered someone. The details of the crime itself are sketchy, but I guess it could have also been an act of self-defense. Anyway, he was going to be hung for the crime, but somehow escaped his fate and fled back East. He eventually settled in southeastern Pennsylvania where he married into a Pennsylvania Dutch (German) family. I believe this man's name might have been Benjamin Smith. His daughter, Caroline Smith, who was born in either 1849 or 1850, married my great-great-grandfather, William Yard, in 1870. Their son, my great-grandfather, Matthew Florida Yard, was born in 1877. His son, Louis Voute Yard, born in 1913, was my grandfather. I have few other clues to go on. I did find a Benjamin Smith listed on the 1850 US Census living in Schuylkill County Pennsylvania living with his wife, and baby daughter, Caroline, in a German immigrant community called East Brunswick. Benjamin was listed as a "railroad laborer". Another key to solving this mystery seems to involve a man named Henry Voute, a Dutch-born resident of Schuylkill County who worked as a station agent for the Pennsylvania Railroad there for many years. My grandfather's middle name was "Voute". My great-grandmother told my mother that her father was named after this man, Henry Voute, whom she described as a "very special friend" of the family. Although this is my own surmising of events, I believe that this Mr. Voute, who was fairly prominent in his community, befriended Benjamin Smith and sought to help him by getting him a job on the railroad. I have also looked at the Indian rolls for his name and there are a few Benjamin Smiths, but being that he was a fugitive from justice I am not sure if any of them could be him. I suppose this might also be one of the reasons why my great-grandfather, Matthew Yard, who looked far more white than Indian, changed his middle name on his 1914 US Military Registration card from "Florida" to "Frederick" to allay any suspicion towards his racial heritage. The prejudice against "non-whites" or "coloreds" was outrageous in that time. I am wondering if you might know of anyone or of an organization that could help me trace this ancestor who I believe to be Benjamin Smith. My grandfather's sister was the family historian who found out the information on him back in the 1950's. However, my cousin, who is her daughter, refuses to divulge any information she might have about our Indian ancestry. I am not sure why she feels this way. 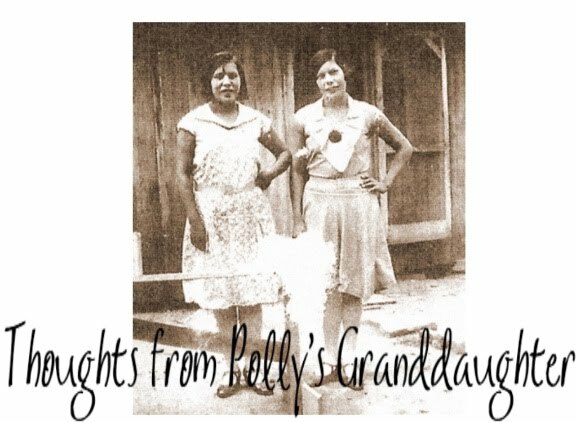 I am hoping to find out the truth about this elusive ancestor on my own and I would very much appreciate any advice or information you might be able to provide to me.